I'm so excited to be one of the blogs participating in this cover reveal! Sarah Guillory is a 2013 debut author, and her novel will release on October 15 as part of the new contemporary line from Spencer Hill Press. And now, without further ado, I present RECLAIMED by Sarah Guillory. 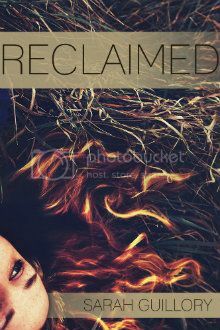 Be sure to add RECLAIMED to Goodreads and look for it in October! Thanks so much for featuring my cover!